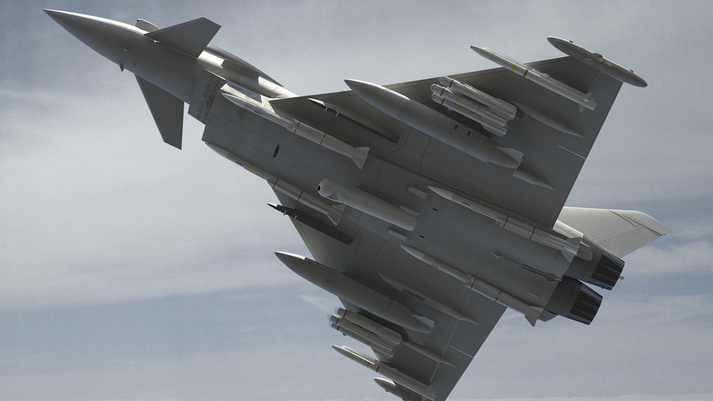 The trials are part of ongoing development work on the Phase 3 Enhancement (P3E) package for Eurofighter Typhoon, which will also deliver further sensor and mission system upgrades as part of Project CENTURION – the programme to ensure a smooth transition of Tornado capabilities on to Typhoon for the Royal Air Force by the end of 2018. Steve Formoso, Chief Test Pilot for BAE Systems Military Air & Information business, said: “This series of flight trials has included Aero Data Gathering (ADG) flights to test how the addition of the Brimstone weapon and other assets interacts with the aircraft’s flight control system software. The results have been excellent, with the pilot maintaining manoeuvrability whilst carrying a heavy weapons load. The flight trials programme for Brimstone is running alongside ongoing Typhoon development programmes with the Meteor and Storm Shadow weapons, which form part of the aircraft’s Phase 2 Enhancement (P2E) package due to be delivered into service in 2018. The CTT approach is designed to allow 41(R) Squadron to participate in early versions of planned upgrades, providing feedback that can be assessed and directly worked back into the design process, ensuring an end product which meets Royal Air Force requirements.